eLearning Africa: Could ICTs be the Key to Ending Hunger in Africa? Education and technology can play an important role in ending hunger and malnutrition in Africa once and for all. That is the view of leading experts in communications technology and food security, who will be attending a special session on malnutrition at this year’s eLearning Africa conference in Kigali, Rwanda from 26 – 28 September. Current estimates show that around 14.5 per cent of people living in Africa’s poorest regions are hungry or malnourished. The most obvious victims are often children and, according to the World Health Organisation, hunger and malnutrition are still the biggest causes of child mortality in developing countries. However, that could all be about to change. Speakers from Ghana, Rwanda and Zambia will show how imaginative initiatives in the education sector in several African countries are already helping to combat malnutrition. They are convinced that ICTs, which are increasingly being used to improve African agricultural output, together with a new focus on providing the right people with the necessary skills, could be the key to ending hunger permanently. One of the speakers at the eLA session will be Kofi Barimah of Ghana Technology University College (GTUC), who will explain how GTUC has used eLearning to enhance its nutrition programme. He points out that malnutrition is still a serious problem in parts of Ghana. With the aid of a small grant from the Catholic University College of Ghana and in partnership with the University of Southampton and the International Malnutrition Task Force, GTUC has integrated an online course on “caring for infants and children with malnutrition” into its degree programme on Public Health. The eLearning course, which has successfully integrated new learning and teaching materials, gives students and faculty members access to best practices for maternal and child nutrition, using both CDs and online learning. Mudukula Mukubi of the Ndola Nutrition Organisation in Zambia will present evidence of the positive effects of ICTs on the delivery of key skills to households headed by women or children. The research is part of a project, funded by SPIDER, on self-help programmes for the households. Rwanda’s experience in implementing a World Health Organisation (WHO) programme on the Integrated Management of Childhood Illness (ICMI) will be the focus of a presentation byJean de Dieu Gatete of the Maternal and Child Survival Programme (MCSP). The programme, which is part of the WHO’s strategy to reduce mortality and morbidity in children by improving the management of common illnesses, was adopted by Rwanda in 2006 and is currently practised in public health centres across the country. However, in spite of national clinical guidelines for the treatment of all children under the age of 5, only 65 per cent receive the recommended care. Fewer than 40 per cent of practitioners in Rwandan health centres have received ICMI training. The MCSP programme, which has surveyed 148 Rwandan health centres in 12 districts, has been exploring options for introducing alternative, sustainable and low-cost approaches for the delivery of ICMI training to a larger number of providers. “The project established that computer-assisted learning provided a real opportunity for training health care professionals at low cost (around $178 per participant) compared to the standard classroom based training ($472 per participant),” says Gatete. With the aid of online learning as part of the MCSP programme, over 600 health care providers in 148 health centres have now already been successfully given on-the-job ICMI training. The eLearning Africa conference is accompanied by an exhibition of new products, services and solutions. It also hosts the annual eLearning Africa Ministerial Round Table, at which education and ICT ministers discuss the latest developments in education and technology. For more information about eLearning Africa, please visit the conference website at www.elearning-africa.com or contact the eLearning Africa press office at press-service@icwe.net. 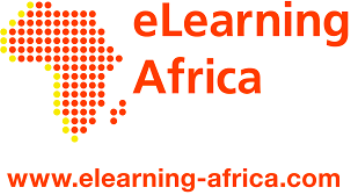 eLearning Africa is the key networking event for ICT supported education, training and skills development in Africa and brings together high-level policy makers, decision makers and practitioners from education, business and government. Over 12 consecutive years, eLearning Africa has hosted 16,228 participants from 100+ different countries around the world, with over 85% coming from the African continent. More than 3,300 speakers have addressed the conference about every aspect of technology enhanced education and skills development.